On 11 March 2011, I was at one of the conference rooms of the Architectural Institute of Japan in Tokyo, when I had been visited by the earthquake. 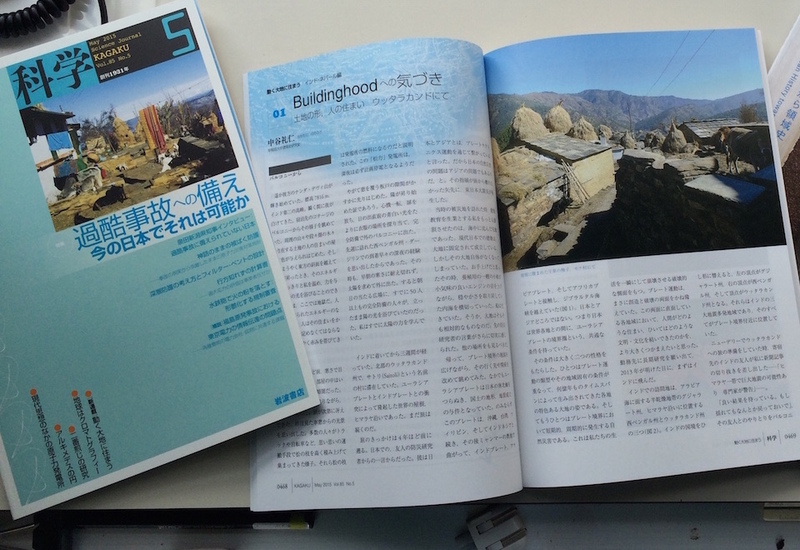 The reason I was there was because I had been the chief complier of the “建築雑誌” since January 1st, 2010. I do assume that many of the “建築雑誌” I was in charge of did survive the disaster. For example, on the issue “Architecture: Worlds within Worlds” (Feb 2010), we had censured instantaneously against the “Whole Earth Discipline”(2009) of Stewart Brand, an American environmental activist, who shifted his position to a absolute propellant of nuclear power generation. On “”BOSAI”-Disaster-reduction Nation, Nippon” (May 2010), we had studied the data of the earthquake disaster sure to strike Japan, and how the stock of countermeasures could contribute to the world. “Future Slum –in Prospect for Urbanization“(Jan 2011) was about seeing Tokyo as a model of a slum city, developing a new theory on both Tokyo and slums. In “Exploring Architectural Boundaries“(June 2011), we reported on newly generated marginal building forms, such as terminal inhabitancy. I am quite sure that these articles are to be utilized in the future. Usually, the problems above differs in time and space, acts independently and do not synchronize. But simply put, the latest earthquake disaster triggered those issues all together; it was as though every clock in a clock shop started to ring each of it’s bell at once. Independent problems started to chain-react. It was horrifying. Thus, I did not change my mind nor position before and after the disaster. I am now seeking for a paradigm to asynchronies the matters that has gone astray, to a maximum extent. By not putting them into a category hitherto known, but by reediting the complex as a set theory, by sorting them into a whole new time and space. But how the earthquake disaster has mostly threatened my basis, “Architecture”, was the disappearance of the land itself caused by ground sinking. I have witnessed one myself. As the tide went high, we had to seek refuge, away from the ground we were standing on to keep away from the occupying waves. Beyond the approaching waves, we could see the former residential area washed away by the tsunami, many of them submerged. No land to construct on. It was when one’s specialty, architecture, had nearly lost all of its meaning. Since the ancient times, architecture was something to be constructed on a flat, stable site. Therefore, it is basically impossible to construct on a indeterminate formed site with no flat basis. The condition above is also what the current law is premised on. On the other hand, the slums in many developing countries are located by the river is because such land is too imbalanced for ownership. 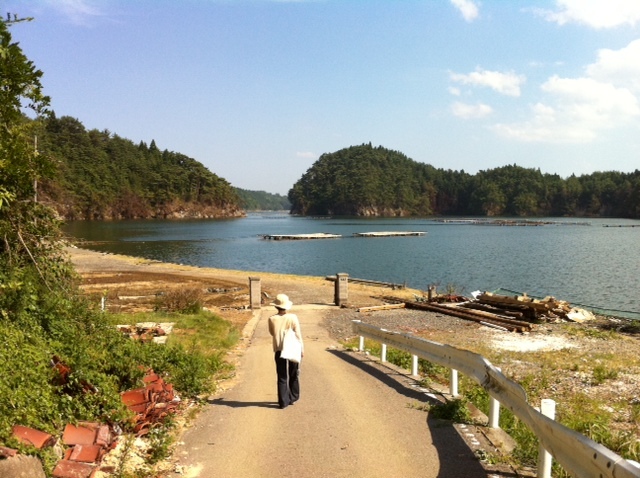 The modernization of Japan had been the creation of “land” by modern civil engineering. Setting them economically afloat and making the ownership of such lands possible. So, even the smallest ground is privately owned now. But as a man on the field of architecture, I have keenly felt that even these historical aspects cannot be the precondition. As a conclusion, I would state a directionality here on and what activity I will take part in. The directionality, though could be only put simply, is the top issue which has occurred from the instant synchronism of the problems previously discussed, the loss of their independent basses. Especially the long term effects that the explosion of the nuclear power plant and the drifting of radioactive substances has brought down, would cause a fundamental innovation to basis making from here on. Next is the problem with the districts affected indirectly by the disaster. Right now the reconstruction of directly affected districts are said to be the urgent business, though the backing up is closely affected by the activities of the surrounding areas. Thus, every district is indirectly-affected by the disaster and the radius is well beyond the frame of the nation. Way beyond my speculative boundary. The delayed repairs of the small damages, of traditional architecture and houses of the common people within non-severely affected districts leading to a transfiguration of landscape is unfavorable. To prevent such ongoing situation, I am now forming a special unit with a landscape designer, a clear-sighted architect, a heritage researcher and my own laboratory. This would not be a short term action but a middle ranged one. In a small port where the land had gone under the water, oyster farming had restarted.